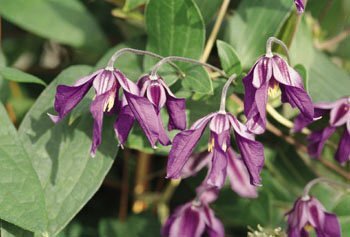 Petit Faucon Clematis: great with gold leafed hostas. and mingle well with many hot-colored perennials. Try it planted with gold-leaved hostas.